Our yoga center is located in the peaceful and nature blessed location in Dharamsala known as Bhagsu village. 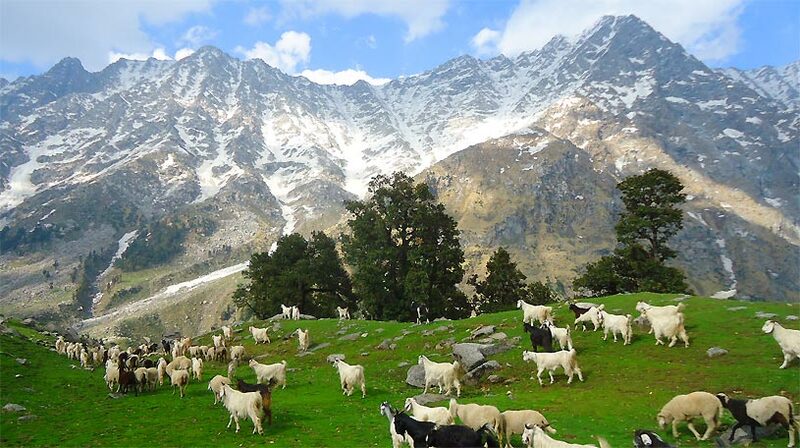 Upper Bhagsu is a quite and serene location in the lap of mountain Dhauladhar. 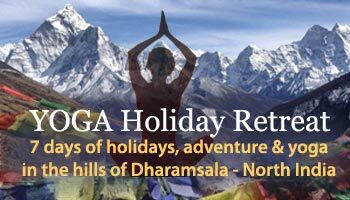 Our location at upper Bhagsu is an awesome place for meditation and you will find many Yoga world alliance courses at Mcleodganj Dharamsala. You will love to do the meditation out here in the Upper Dharamsala region. It is quite peaceful as well as away from any sound of traffics. The region is around 4546 mts up with respect to sea level. We also know it as the little Lhasa as well and it is a popular hill station from the days of British Raj. You can easily reach Mcleod Ganj from lower Dharamsala or the Kotwali Bazar. It is just nine kilometers by bus and only 4 kilometers via taxi. The lower Dharamsala is the head quarters for the Kangra district as well and you will find many of the local government offices as well. Trains : There are many trains from Delhi to Pathankot (12 hours journey). Daily many buses ply to Dharamsala which is just 3 hours run / 90 kms from Pathankot to Dharamsala. Bus : There are direct overnight Buses (check redbus) plying from Delhi (Majnu ka Tilla) to direct Mcleodganj. You can catch a ordinary bus, deluxe bus or an AC Volvo bus. Air : Daily air flights from Delhi domestic airport to Gagal airport (also known as Kangra or Dharamsala airport). Gagal is 25 kms from Dharamsala. We can arrange a pick up upon request. Local : You can easily reach Mcleodganj (8 kms) from lower Dharamsala. It is just nine kilometers by bus and only 4 kilometers via taxi. After reaching Mcleodganj you can hire an auto-rickshaw or tuktuk to reach Bhagsu, where Shiva Darshan Yoga Center is situated. Give us a call (9816045301) from Dharamsala in-case you find difficulty reaching the center. Please fill this Registration Form and send us your details of joining / pickup etc. We require a non-refundable (adjustable in another date) deposit of $300 USD to confirm a seat. © Copyright 2019 Yoga teacher training in Dharamsala, India. .